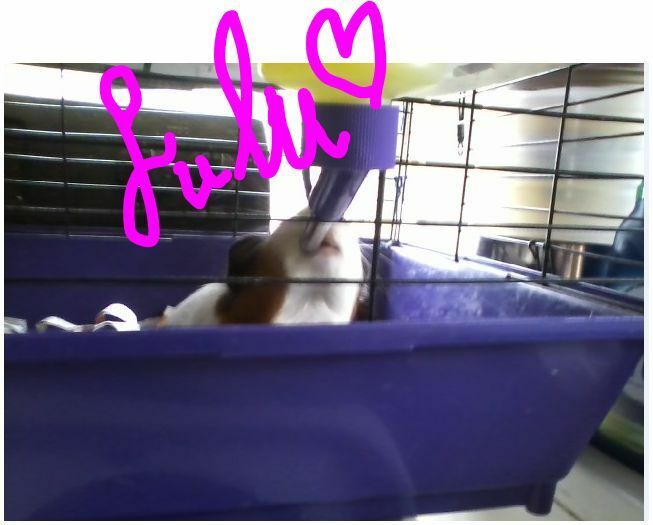 This is LuLu, in her cylinder. I recycled an oatmeal canister for my guinea pig because they like to go into and hide in little hidey holes. I have seen them at pet stores and they are just cardboard cylinders. I go through four or five of these every week. I had just put it in the cage a couple of hours earlier. I go by the cage in the laundry room all the time, and I could not locate her in the huge bunny cage. 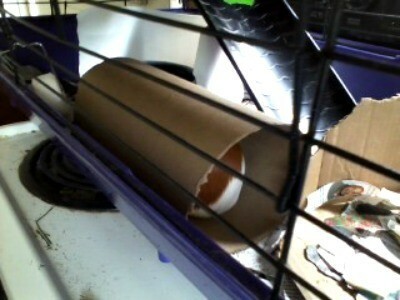 I looked in the cylinder and there she was, resting and having a good time in her hidey hole. 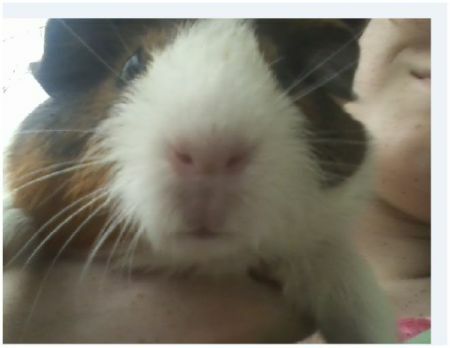 I will put some more pics of her so you can see her beautiful face! Lulu is adorable! I love guinea pigs!